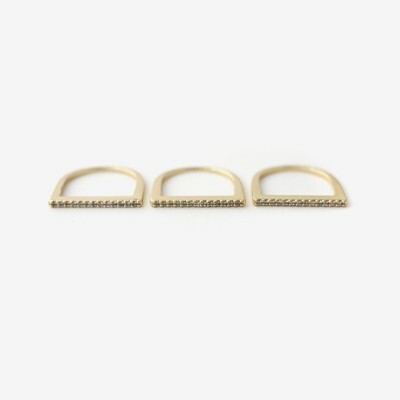 A ring for the minimalist, with a little sparkle. Pick up this set of 3 for additional stacking options. All 3 rings are the same size. Materials: Brass, 14k gold plate, cz.